Whether it be a deadly cyber-attack or a costly material shortage, business disasters can often cause a chain reaction for organisations across the globe by creating broken supply chains. What’s more, recent research from the Business Continuity Institute revealed 69 per cent of businesses lack full visibility of their supply chains, even though nearly 70 per cent have experienced at least one disruption. Recognise each role — The first step to securing your supply chain and ensuring continuity during a potential break is properly identifying who all plays a significant role in the chain. Although this may seem tedious, recording the key players in your supply chain will allow you to determine the different risks involved with each supplier and establish proper risk management techniques. Be sure to be as in-depth as possible in your recording — this means identifying not just in-house and first-tier suppliers, but also second and third-tier suppliers and who you could use as a backup. Make a model — Once you understand the different roles involved in your supply chain, you can properly assess potential disruption risks among suppliers. A common practice for locating weak spots in a supply chain involves creating a model (either physically or digitally) of the chain. This allows you to visualise the exposures your organisation may face by modelling different disasters and analysing each possible area of impact. Prepare and practise — In addition to modelling supply chain disasters, involving your entire organisation in the preparation process is crucial. 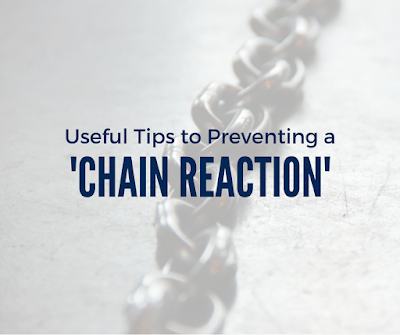 Consider implementing a realistic simulation of a chain disruption, encouraging proper incident management by your designated crisis team (senior-level employees with varying areas of expertise in the organisation). Engaging in a crisis rehearsal for even the most outlandish scenario will ensure all employees are calm and prepared for an actual occurrence.